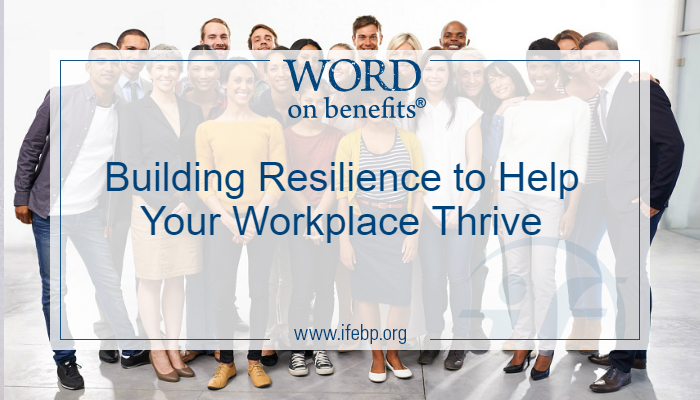 Workplaces play a vital role in helping people build their resilience, explained Dr. Joel Bennett, president of Organizational Wellness and Learning Systems (OWLS) in the National Employee Benefits Day webcast Building Resilience: Practical Tools to Help Your Workplace Thrive. Dr. Bennett defines resilience as learning from a stressor so you can grow, thrive and even flourish. He shared that every human being has an innate coping power that can be applied to life’s challenges, and team and social resilience is as important as individual resilience—especially in the workplace. It’s at the workplace where some of the most disruptive events can happen, like employee turnover, mergers or other operational disturbances. Because of these inherent characteristics of a workplace, it can be a significant source of stress. Employers play a critical role in helping employees access resources and benefits to help them manage stress. 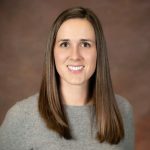 It’s incredibly important for employers to help their workforce understand the resources that are available to them, such as EAPs, and make sure employees are comfortable using these resources without stigma. Dr. Bennett shared a number of interactive tools during the webcast to help attendees experience more resilience themselves, including a centering visualization exercise that you can access below. Before watching, identify your greatest stressor—work, financial, physical, social, intellectual, spiritual or emotional. Then consider the resources you have to help with that stressor, things like social support, exercise, a sense of accomplishment at work, meditation, etc. The video was extremely impactful for the attendees watching on Benefits Day! Dr. Bennett polled attendees on their stress levels before and after the video and found a 300% reduction in the number of people reporting their stress at 8, 9 or 10 on a scale from 1 to 10. Want to Learn More About Building Resilience in Your Workplace? Building Resilience: Practical Tools to Help Your Workplace Thrive. It’s available on demand and is free to both International Foundation members and nonmembers. You can also find more resilience resources on the International Foundation National Employee Benefits Day page.